Found it cheaper? Let us know about it! Quartz Clock Insert Gold 50mm.. 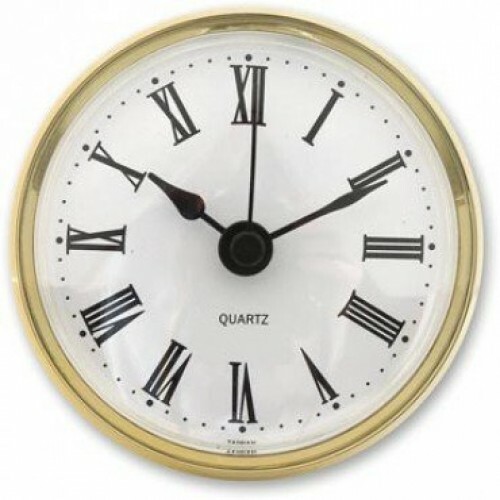 Clock Insert Gold White 65 Mm Arabic Numbers..
Quartz Clock Movement30mm & Hands Gold..
Quartz Clock Gold Rim White Face 100 Mm Roman..
Joemac Lazy Susan Bearing 3" 75mm Square 90kg Cap..
Joemac Lazy Susan Bearing 6" 150mm Square..
54-56 Parnell St., Limerick, Ireland.